Can Apple’s Product Managers Win Back The Movie Market? So just in case you didn’t realize it, Apple makes a lot of money from both renting and selling movies. This is all part of their iTunes empire that has been around for a while and has become sort of the defecto go-to location for a lot of people when they are looking for new music or movies. However, things are starting to change for the Apple product managers. Their share of the video rental / sales market has started to slip because of changing customer needs and new competitors. What’s a product manager to do? I’m pretty sure that we all know about Apple and their popular iPhones and iPads. In order to provide their customers with content for the iPhones and iPads, Apple created the iTunes digital store way back in 2003. Initially the store only sold music. However, in 2006 Apple started selling downloadable videos of movies and television shows via the store. When Apple started offering videos via the iTunes store, they quickly became a dominate force in the video sales and rental space simply because of the popularity and ease of using the iTunes store. Who wouldn’t want to be able to put that on your product manager resume? Back in the day Netflix was still shipping DVDs to its customers and Amazon had not really entered the video business. Since then, things have changed. A host of new competitors have shown up and are challenging the Apple product managers when it comes to music sales. At the same time, Apple has started to lose the battle for video viewers. Back in 2012 Apple held a 50% market share for video rentals and sales. This number has decreased to between 20% – 35% since then. The Hollywood studios who sell their video products to Apple are all reporting that Apple has been buying less of their product as of late. Currently the iPhone represents 2/3 of Apple’s annual sales. The Apple product managers want services such as the Apple video sales to start to take over more of that revenue stream and so they are going to have to change their product development definition. If Apple is not the one who is providing people with the videos that they crave, then where are they getting them from? When a customer either rents or buys a video online, they generally end up spending between $US6 – $15. One of the biggest competitors who has taken a bite out of Apple’s market share has been Amazon. Using its Prime subscription service, Amazon rents and sells movies on a transactional basis. Amazon has been able to grow its share of the video rental / sales market to be roughly 20%. Additionally the cable company Comcast has been renting movies using its set-top boxes and is now selling those movies also. It’s share of this market has now grown to be about 15%. All of this change puts the Apple product managers in a tough spot. Clearly things are not going to be as easy as they once were. What the Apple product managers need to do is to find a way to once again grow their share of the video rental / sales market. This is not the first time that Apple has found itself in a situation like this. Back in 2011 Spotify showed up and started offering a subscription music streaming service. It took Apple a while to realize the threat that Spotify posed to their iTunes music business. 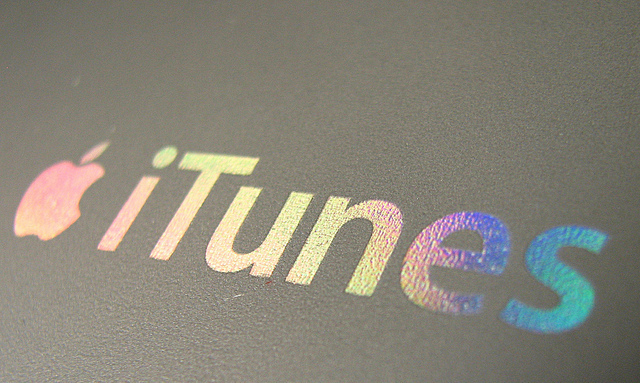 However, in 2015 Apple responded by launching their own $10 / month music streaming service. The Apple product managers have started to take steps to boost their video offerings which are associated with their subscription service. They have hired outsiders from firms such as Sony Pictures Entertainment and they are starting to create their own unique videos. Their first release has just become available to subscribers to the Apple Music service. Apple is also trying to raise revenue by selling subscriptions to HBO, Netflix, and other subscription services through its iTunes store. Apple will take a 15% cut of every subscription that it sells. The reason that Apple now finds itself in such a tough spot is because since the time when Apple first started selling videos, their competition has become better. Comcast has invested heavily in making its set-top boxes better at selling videos and Amazon has invested in its entertainment business including creating unique content. The Apple product managers are trying to win back market share. They have promoted independent films and they have gotten the exclusive rights to some films that have been produced outside of the major studios. The overall goal is to make Apple a stronger competitor in this video space. As a product manager, who wouldn’t want to have a dominate position in the market that we are competing in? The Apple product managers started out that way when Apple first started offering videos for rental and sale. However, over time their share of this lucrative market has been slipping. Clearly the Apple product managers are going to have to take look at their product manager job description and take steps to boost their share of the video rental / sale market. What should they be doing? When Apple first started offering video rentals and sales to their customers, they quickly came to dominate their market. The reason that this was so easy to do was because their iTunes store had a dominate share of the digital music market and because there was no serious competition. Since then, things have changed for the Apple product managers. Their share of the video rental / sales market has steeply declined. Despite Apple’s desire to make the service part of their business contribute more to their bottom line, most of their revenue currently comes from sales of the iPhone hardware product. The Apple product managers are trying different programs to win back market share. They have started to sell HBO and Netflix subscriptions through the iTunes store. They have also started to create their own unique content that can be made available to iTunes music subscribers. Even as their competition starts to focus on video sales, Apple product managers are trying to secure more unique content just for their service. The market for video sales and rentals is a very large market. Now that their completion has woken up to the revenue potential of this market, the Apple product managers are going to have to work harder than ever to claim a bigger piece of the pie. Their creation of unique content is a great way to get more subscribers. Now all they have to do is to show that the Apple video offerings are better than their competitors. Question For You: Do you think that Apple should still try to sell main-stream movies or is that space just too competitive? Let’s talk about the product that you are responsible for. How many different versions of that product are you currently offering? Most of us have a big, medium, small version or perhaps a simple, better, and fancy version. When you create a new version of your product (e.g. version 2.0), what does your product development definition tell you about when to release all of the different versions of the new product? If you are like most product managers, you make them all available on the same day so that you can generate as many sales as possible. However, over at Apple they think that they’ve come up with a better way to go about doing this.